In my “moms’ class” at my weekly homeschool gathering (a commonwealth school), we’ve been talking lately about seasons, winter, and “hygge.” What is hygge? Pronounced “hoo-gah,” it is the practice that allows the Danish to be the happiest people on earth, despite their stark winters with little daylight. There is no one word that it translates into in English. Here is a rough translation: the feeling of cozy contentment that comes from soaking up the simple joys of life. Joys like conversing with friends, drinking hot cocoa while reading a book, especially if it’s snowing or raining outside, eating delicious food, working among natural elements like wood, plants, dirt, and sand, and gathering around the fireplace or bonfire to talk and sing. It’s peaceful enjoyment. Where I was in Idaho it had been beautifully autumnal and sunny for days, as shown by the photo above. My daughter snapped the photo not far from where she lives. Then it suddenly got gray and drizzly. The energy outside started to depress me. Raininess only serves to remind me that snow, meaning, winter, is on its way. That means life will soon look stark and bleak like the picture below, if I’m in Utah or Idaho, at least. Gray weather makes me feel as sad as this sagging fence. But this mention of hygge and the idea of infusing brightness into rainy or cold days with cheery conversations, friends and food, sparked my interest. I was reminded of how it’s possible to brighten fall and wintry days with purposeful living that involves turning inward and celebrating what can be done indoors. I felt determined to go home and light more candles in the evening, along with reading more books and talking about them instead of reverting to screen time. I’m all for family movies but sometimes my family gets in a rut. We get to where we turn to screens every free night when we are all at home instead of gathering all cozy in the living room to read books and share what we are learning, or simply having a game night. If you want to know more about hygge in general, here’s a cheap ebook about it in Kindle format. It’s the book pictured at the top of the post. I have no idea how long it will be free in Kindle. 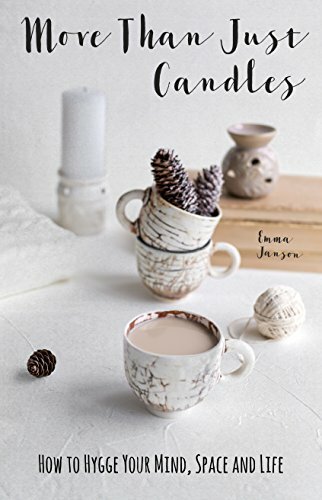 I like that it mentions that hygge is not about buying lots of stuff, like candles, mugs, and sweaters. Don’t get me wrong, I love candles, mugs, and sweaters. But hygge is so much more. It’s about being mindfully present to enjoy to the fullest what you have in the season and in the moment, with the people around you, and thoughtfully buying things to add to the comfort/coziness, instead of buying everything marketed as “hygge” that comes down the pike. Here’s why you need hygge as a homeschool mom. It’s because I don’t like to feel rushed. I love to savor the simple things in life, not just glance at and walk by them. I love a great conversation with a new or old friend. I love to watch meaningful movies and talk about them. I love to enjoy the seasons. (OK, granted, too much snow is not my favorite, that is partly why I moved to AZ LOL.) I’ve always loved snuggling with my children and reading aloud a classic book, whether it’s a picture or chapter book. I love to play games with my kids, like Bananagrams or sock wrestling, and listen to great ideas on podcasts or in great books. I love to sing and make music on the piano. I love to work outside gardening, or stacking wood or clearing weeds or brush. I love to go to the beach or on a hike or look at the sunset. I love to get something clean that was dirty or craft something with my own hands. I also love the symbolic seasons that a woman’s body embody. When I went to high school and college, part of me was just crying to stay home, be cozy, read books, play the piano, and craft all day. I did well in school, passed lots of AP tests, and attended BYU on a full-ride scholarship. Because of all the AP credit, I finished college in three years. Yet I yearned for a slower pace of life. Maybe that’s why after marriage and having a baby, I was soooooo happy! I had quit my 9 to 5 job as a lab technician at a medical school two weeks before my first baby was due. I was giddy to settle down and enjoy simple things as a new mom and not feel the pressure of the rat race, leaving home for a job or school every day. Stay at home mothers are so blessed because we can totally embrace hygge in all its ways, especially if we homeschool. Here I am taking advantage of my son’s homemade hammock under a canopy to read aloud to the kids outside. Honor the seasons of learning. You can read my article here about that. Thomas Jefferson Education is a philosophy that teaches that, although I do have a few qualms with the way some people interpret it. See my post about scholar phase here. It is perfectly OK to require in scholar phase! OK, I said it, whew. Then later on, gradually add curricula in, as you observe readiness in your child for reading and writing and math. Even then, in the “love of learning years,” (about ages 8-12) have the lessons be Charlotte Mason-ish short lessons. I use Happy Phonics by Diane Hopkins to teach reading (even before age 8 if they are ready), mathusee for math, and Handwriting Without Tears and then Italic handwriting books. Years ago I got rid of most curricula. I had seven kids all at home and homeschooling was so much simpler when I decided to let go of most curricula. You could have a season in your child’s life when it’s important even not to have math or handwriting curriculum. The word “curriculum” comes from the Latin root word which means to run a course a race. If you have 3 or more curricula (the plural of curriculum) for each kid that means you are running 3 or more courses multiplied by each kid you have. How long can you sustain that? If you are like me, not even a day! If you want to do more than two curricula, wait until the child is old enough to do the curricula totally on his own in scholar phase. Then you don’t have to run so many races with him, i.e. spoon-feed the material to him. He owns it and runs the race himself. I’ve seen it happen with my four oldest kids and it’s so glorious to have a self-governing scholar! For my children under 12, we only use Mathusee and Italic handwriting books for curricula. That’s it! (Except for the Heroic Youth curriculum which we do with our commonwealth school. Heroic Youth simply guides us with a monthly theme as to what picture books and biographies to get to read aloud to my 9 year old.) The rest of our homeschool time is spent reading aloud (we check out a ton of books at our weekly library trip) or exploring interests or reading on our own. My kids also do a lot of the household chores, including dishes, laundry, bathroom cleaning, and meal prep. After age 12, we do project learning through LEMI scholar projects at our commonwealth school and occasionally an online school (Williamsburg Academy) for my kids 15 and up, when they can do the work completely on their own. I can vouch that this approach works! My two oldest children have graduated with engineering degrees from college. Neither of them had a language arts curriculum or a spelling book or a science curriculum before age 12. Neither of them got a diploma from high school. Yet they entered college on scholarship, ready and excited to study a full load of college classes. Practice having a morning worship hour in your home where you connect with God, or your Higher Power. My family devotional ebook talks all about that and gives you all the resources you need for that. Encourage the reading aloud culture in your home. Read aloud a bit every day from books that kids love. Sarah Mackenzie’s blog and podcast I talk about over here will help with all of that. I’m learning a lot from her podcasts. I’ve been reading aloud for years but I’ve made all the mistakes Sarah talks about. Lately my kids have hated what I read so I’m going to change things up a bit. I read aloud while the kids do the dishes, sometimes three times a day, for breakfast, lunch and dinner. Sometimes even while they are fixing food. When my voice needs a break I turn on Audible. You don’t need to have an Audible subscription to use Audible. You can find some great classics for kids on Audible here and here. If you are wondering if audio books count for school, they do. Here’s a great post about that. Read aloud a ton of picture books or listen to stories. This is such a fabulous, happy way to start the day (after your devotional of course). One of my homeschool mom friends, Katie, calls it “Breakfast and Books.” This blogger here calls it “Coffee and Books.” Since I belong to The Church of Jesus Christ of Latter-day Saints and avoid coffee, I call it “Cocoa and Books” or “Cocoa and Stories.” This is the way we start our homeschool time everyday, after our devotional. I usually don’t want to read aloud because I’m journaling so I play stories from Gospel Library on my iPad or phone while the kids drink their cocoa and eat breakfast. Cocoa with homemade marshmallows. The marshmallows are an extra special treat, we don’t usually have those. Provide time for silent sustained reading. Go to the library regularly, to get new books. Use Sarah’s readaloudrevival.com, or booksellers like Chinaberry or Candlewick Press to help you pick out books that you put on hold online to match your child’s interests. Do a “book commercial” over lunch to show your kids the new books and sell the books to them. Leave the books strewn about, with their faces out. Then let your kids get bored so they will want to read. This is best done by doing the next item. Say no to screens as much as possible. The other day we came home at 8 PM after being gone all day for our commonwealth school and then a meeting after that. One of my kids asked to watch a movie. I said, “No, let’s just talk.” We had had pizza at our friend’s home 90 minutes before leaving for home, but some were still hungry. We popped popcorn, drank cocoa, and I ended up having a very meaningful conversation with my recently returned missionary son. The ones who weren’t hungry for food and/or conversation retreated to their rooms to read. It was a great hygge evening. My married daughter chatted with us on Google hangouts (so I got to see my new grandbaby!) which added to the joy of the night. Have regular family dinner time where you encourage conversations and have screens put away. I’ve written about that here. Practice self care, which is super important as a homeschool mama, to avoid winter doldrums, isolation and boredom. If you are married, nurture your marriage. Listen to Ramona Zabriskie’s WifeSavers podcast and read her book to learn more about that. Self-care actually goes a long way to nurturing your marriage. Get as much sunshine as you can. Take bubble baths. Listen to podcasts. Here’s one of my new favorites: Craftlit. It’s the classics on audio, with annotations, so you can actually understand the classics, done by a former high school and university English teacher and crafter, Heather Ordover. She just did Anne of Green Gables! As she says, “Craft with your hands, read with your ears.” Look for the timestamp in the shownotes to see where the reading of the classic actually begins after all the chit chat about crafting from the host is out of the way. Don’t take on too much. Keep a journal and write a bit every day. I like to write the thoughts I have after I read the Book of Mormon in the morning. Then at bedtime I write how I saw God’s hand in my life that day, which is a gratitude list. Pres. Eyring’s talk here inspired me to do that. Connect with friends via text, phone or email. Get out and visit people at a book club or at church. Use the Sabbath Day for what it’s for. That means taking a break from commercial consumption and maybe even social media on Sunday. It means spending the day remembering God by attending worship services, remembering your covenants with Him, planning your week, having a meeting with your husband to assess the family’s upcoming weekly schedule and needs, and have meetings with your children to assess their needs and desires. This is a great day to see what books your kids want to read next. That way you can go to your public library’s website and put books on hold so they are ready to be picked up in a day or two, saving time at the library hunting books. Gather with one or more homeschool families at least once a week at a regular time. This can look different at different seasons of your life. In my early years of homeschooling, this was simply meeting at a park and letting our kids play while the moms talked. That evolved to meeting at one of our homes where we took turns teaching short lessons on science or art and then letting the kids play. When I moved to a city an hour away, I joined a group where the moms had a class discussing a great idea or book and the kids would play the whole time. Then we started having our scholars attend a commonwealth school when they were 12. Eventually the commonwealth school opened up classes for under 12s. We were sad to leave it when we moved, but now we have one to attend here. Happy days! It gives me what I was missing from what we had in Utah: LEMI scholar projects, Heroic Youth, a monthly parent book club, moms’ retreats, homeschool mom friends, weekly discussions with other homeschool moms, and homeschooled peers for my children. Not to mention a family ball that we had just last week. Fun! Have a poetry teatime. I did this a few times last year in Zoom (online video classroom) with some old homeschooling friends, so my kids could see their friends from where we lived before we moved and they could connect over poetry. I plan on doing it more this upcoming school year. Blogger and homeschool mom Julie Bogart explains how to do it below. You don’t have to use real tea, you can use herbal tea, lemonade, juice or cocoa. I just love this idea! Here’s a great collection of poetry to use, by the way, full of verbal images of my favorite things. Here’s to hygge, especially as we approach winter! Enjoy! This entry was posted in Uncategorized and tagged commonwealth school, craftlit, curriculum, homeschooling, hygge, Julie Bogart, LEMI, poetry teatime, ramona zabriskie, read aloud, readaloudrevival, sarah mackenzie, scholar phase, scholar projects, seasons of learning, self-care, TJED, wifesavers. Bookmark the permalink.